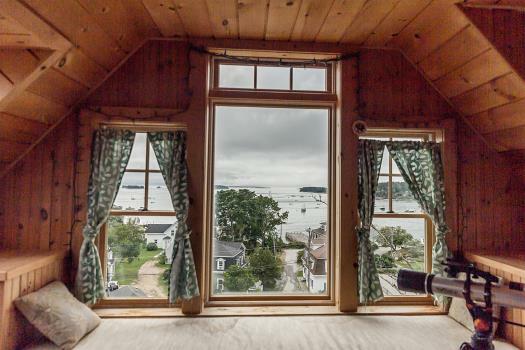 Sam's Cottage is a cherished family home located on the scenic Indian Point Road in Stonington. 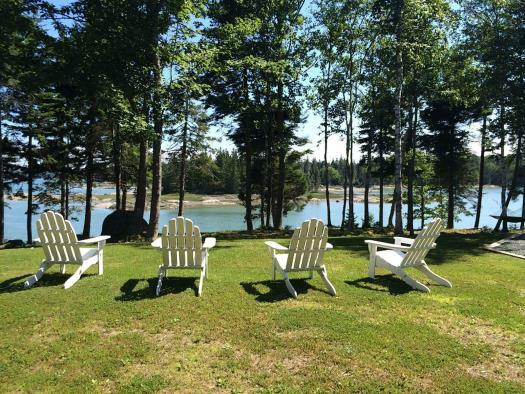 With sweeping views of the Deer Isle Thorofare, vacationers are able to watch picturesque schooners, lobster vessels and pleasure boaters come and go. Enjoy being a short walk from the villages and many of the areas galleries, restaurants and novelty shops. Sam's Cottage has all the main living areas on the first floor, for easy accessibility for travelers of any age. 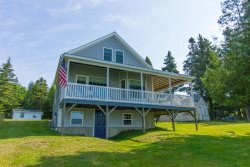 Sam's Cottage has an open floor plan and hardwood flooring all throughout. The kitchen is well equipped for any meal, from lobster to hotdogs. There is a lovely dining room table with seating for six and delightful views of the Atlantic. The living room is very comfortably furnished with a couch, cable television, and two chairs. The first floor bedroom has a queen bed, a large closet, and dresser. 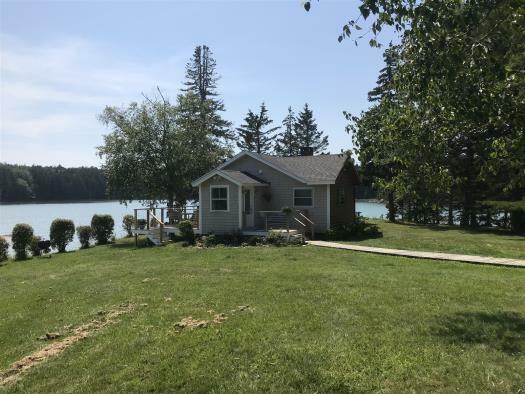 There is a full bathroom with tub and shower and a laundry room with washer and dryer. The second floor of the home has a large bedroom with two full beds. There is an armoire and dresser for clothing. Finishing off this sweet cape, is a lovely reading nook, with two rocking chairs situated to look over the view. 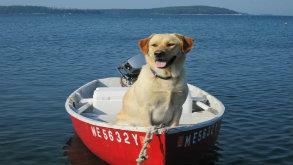 Come and enjoy some time at Sam's Cottage in downtown Stonington. 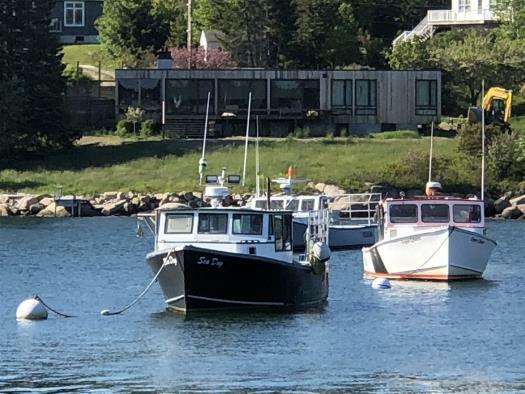 Just a short walk from the Isle au Haut Boat Company, the public boat launch, and the village of Stonington, this cottage is sure to be a hit for all travelers. We found a cosy well equipped Cottage which had all you need for a stay more than a week.The Cottage and the Interior was clean and in a style that can be called "gemtlich" . The Location was great with amazing waterviews from a big Lanai. An ideal place to have your Lobsterdiner. You can buy live Lobster at the near Stonington Lobster Coop. Behind the Cottage you can watch deer and other wild animals. Nice house, easily sleeps 4-6 people. Wifi, cable TV works perfectly. We appreciated the welcome coffee package from the local coffee shop and it was great to have all the tools for our lobster feast. Great private setting, plenty of parking. The house is very well appointed but there is overall a bit too much stuff around! 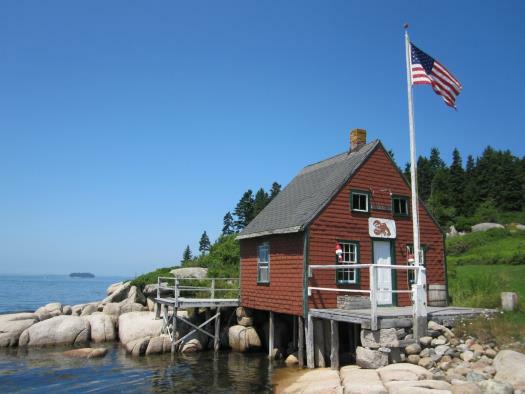 And just be aware the house has a beautiful view over Stonington harbor, a lobster co-op with a cooling fan, and about 30 lobster boats - some days it can get quite noisy!